While posting the matter after four weeks, the bench, headed by Chief Justice Dipak Misra, asked both the parties to complete their pleadings by filing replies and rejoinder affidavits in the mean time. Ahmed Patel had moved the top court against the high court order saying Balwantsinh Rajput’s petition is “devoid of merits” and fails to show any “cause of action”. 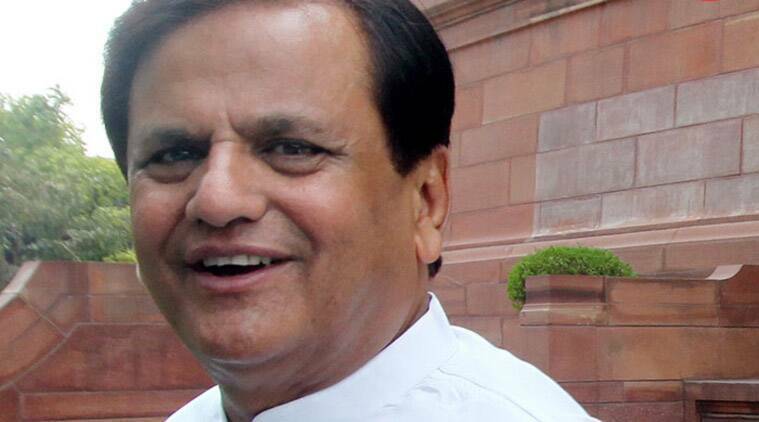 The Supreme Court on Monday sought a response from BJP leader Balwantsinh Rajput on a plea filed by veteran Congress leader Ahmed Patel seeking a stay in proceedings in the Gujarat High Court against his election to the Rajya Sabha. Rajput had moved the high court after he lost to Patel in the election to the Upper House in August last year. While the bench, headed by Chief Justice Dipak Misra allowed framing of issues, it directed the Gujarat High Court not to proceed in the case thereafter. Posting the matter after four weeks, the bench, which also comprised Justices A M Khanwilkar and D Y Chandrachud, asked both the parties to complete their pleadings by filing replies and rejoinder affidavits in the meantime. Challenging Patel’s election in the high court, Rajput had questioned the Election Commission’s decision to invalidate two votes by rebel Congress MLAs after the Congress party had objected. Rajput had also accused Patel of indulging in corrupt practices by allegedly holding 44 MLAs captive at a resort in Bengaluru. Patel, on the other hand, had challenged Rajput’s plea and sought its dismissal at the “threshold level” for not serving respondents an attested copy of the petition as required under the law. The high court, however, rejected his plea and said the petitioner had substantially complied with the provisions of law and the defects could be easily cured. Patel later moved the top court against the high court order saying that Rajput’s petition is “devoid of merits” and fails to show any “cause of action”. Patel returned for a fifth term in Rajya Sabha after polling 44 votes. The EC’s decision brought down the required mark from 45 to 44. The Congress, in its plea to the EC, had said two of its MLAs, Bhola Bhao Gohil and Raghav Bhai Patel, cross-voted and showed their ballot papers to BJP president Amit Shah. The EC ruled in Congress’ favour, declaring that the two MLAs had violated polling procedures and secrecy of the ballot.